Tira is returning in SoulCalibur VI, but only as DLC. You unlock her if you buy the season pass, or you can purchase her individually. Almost immediately after the announcement, there was outrage. Fans aren't happy that a much requested character is stuck behind an additional paywall at launch, and we can't blame them. It's an especially daft move when you consider that the base character roster hasn't even been fully revealed yet. But at Gamescom 2018, speaking to IGN, Bandai Namco defends its decision to add Tira as DLC. Product manager Pierre Tartaix sheds some light on the issue: "I know it hasn't been the most popular decision, we had people being pretty mad, not understanding what's happening there." he begins. 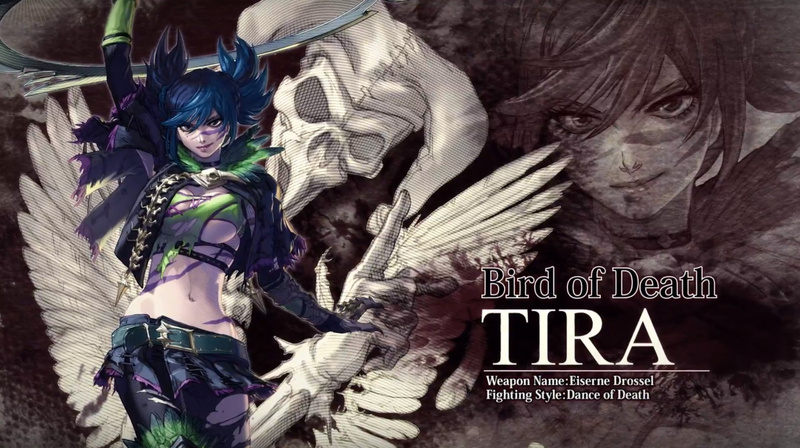 "So, the idea is Tira has been a huge request from the community since we announced the game, and when we realised how popular Tira was, we decided to integrate her into the game. Unfortunately, it was late into the development process," Tartaix explains. "The public usually sees a game when it's announced, roughly a year before it's released, but a game's development can take two years, three years -- it's a long, long process. So we started developing Tira -- her model, her abilities, her gameplay -- late into development, so we can make it work to be there on release, but we can't make it work to be in the game when we submit. The end of [the game's] development is way before the release of the game." So basically, Tartaix is saying that Tira's inclusion was only decided upon after development of the base game had pretty much finished. The developer had no choice but to add her as DLC. But if Bandai Namco's doing all of this for the fans, then why is she going to cost extra? Why isn't she a freebie for those who buy the game? We suppose the developer would argue that it takes time and resources to add a new character, so she's gonna have to cost something. What do you make of this reasoning? Watch where you're swinging that giant bladed ring in the comments section below. Well, you could add her as part of a Day One patch, instead. As far as paying for the extra time - that makes more sense AFTER the game is released and is making money. Right now, all time is development time. i mean for sure they would have known that she is a very popular character before development even began! and even if they did not know beforehand they could still add her as a unlock for winning a couple matches or something. there is no vallid excuse to lock a fan favorite character behind a paywall. Well that makes a little more sense and I can see the point about the character being a late addition after game development was nearly complete. So I’m sure Tartaix will also be understanding when I now decide not to buy the game. Fan-requested character of fighting game series is locked behind a pay wall and fans are furious. I guess my time machine works and I travelled ten years into the past. Meh whatever, I won’t be surprised if another fan favorite is locked for DLC. They can use whatever excuse they want, putting characters behind paywalls just isn't a cool thing to do. Stick with the cosmetics if you have to monetise. It's a stupid move. The money they'll make from the DLC will be nothing compared the sales they will lose from angering the fans. PR nonsense, season pass and dlc for fighting games has always been about greed. Finish your roster or add it later but if you think the game should cost more then put up the price. I don't want half a game. 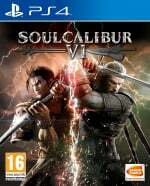 It should be free or you should just raise the price aand ditch dlc altogether. It was "too late in the development process" to add in another character? But... you've developed her. So clearly the "development process" was still ongoing. What nonsense is this now. I'll buy it later then, when the game heavily discounted on psn. "Hello. My name is Masahiro Sakurai and I'm here to make evwry other fighting game look like crap". I dont get this move at all. Just...put her in the game as an update at a later date or at least announce the DLC AFTER launch? What a bunch of bs, it's all about the money, like it's always been and always will be. Yeah, that’s resiculous. If it was free DLC, I’d get it, but it’s not and it doesn’t change that not including her was a bad decision in the first place. It’s a dumb move, especially because they’re working on her before the games regular development is over. So adding her into the game in time for launch is impossible due to time constraints, but having her ready for day 1 DLC is feasible. @GKO900 Even the small DLC is nice only changing your character should not have been a payed option. "we had people being pretty mad, not understanding what's happening there." Essentially they're saying that they've done nothing wrong, it's everyone who disagrees with them who's wrong. These sorts of PR statements get rather irritating. Don't know why people are so surprised by this. Hilde, Tira and Setsuka were always unlikely additions to the base roster due to the game's time period. I expect all three of them to be DLC, if we're lucky, otherwise they might just not be in the game at all. If it was Hilde and not Tira available day 1 I'd be really happy. They should have announced the rest of the base roster first before mentioning DLC I suppose. Given the time setting of this game I do understand why Tira wasnt considered until later in development...but I think they could have just done a day one patch...offer other characters down the line as dlc but dont day 1 it. I don't even use or like Tira but I find this off putting. @Gmork___ I would think you can. I remember 4 did. I'm gonna buy a Switch and SmaBro instead. Yeah, it will cost more than just one game and a season pass, but the developpement perspective of Smash is so opposite to this kind of thing, it's like "if we want you to buy our game, let's make it the ultimate version possible". So refreshing. This Soul Cal ? It's DBFighterZ all over again. But hey, there's always worse. There is DoA 5. I just CAN'T WAIT to see what TN has in stores to milk us with the next one. They’ll make her free, in a clumsy attenpt to control damage. They wouldn’t like the alternative.